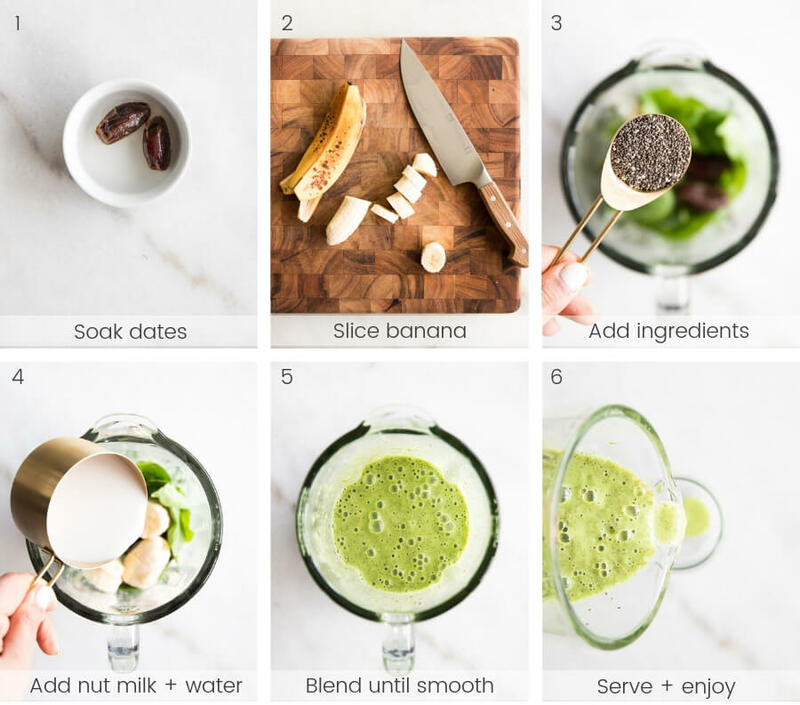 A delicious and simple 5-ingredient sweet and tangy green smoothie that can easily be customized. 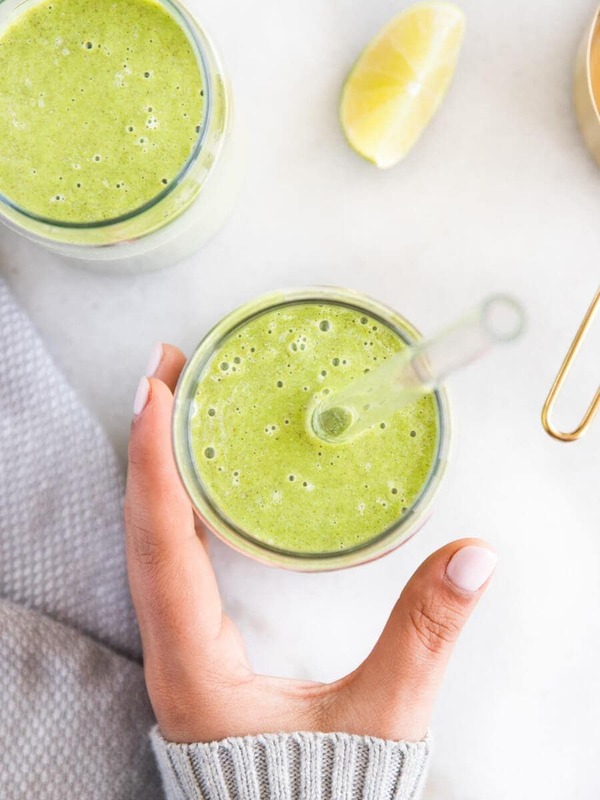 Made with fresh spinach, tangy lime, and sweet banana, this smoothie is perfect for busy mornings or as an afternoon snack. Either way, this smoothie won’t disappoint. 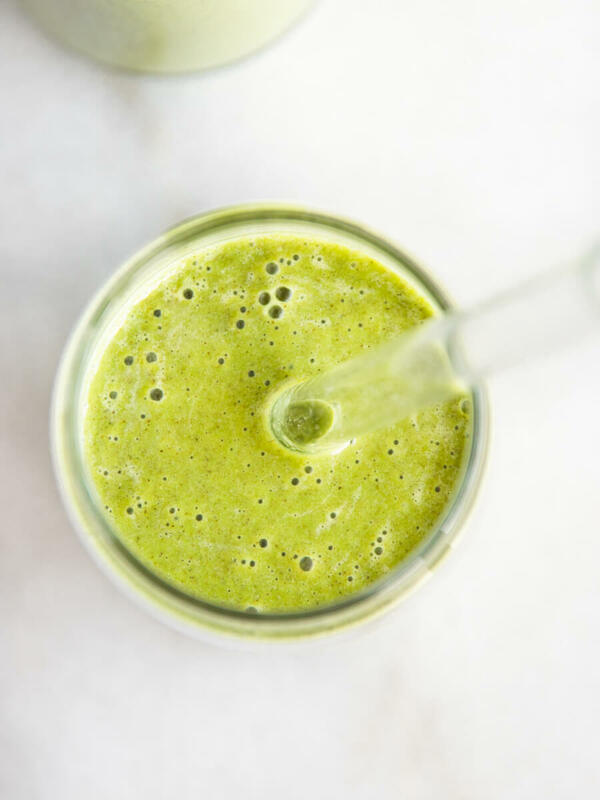 This is a classic green smoothie with enough sweetness but a little tanginess from the lime. It’s a great way to start the day. The chia seeds add a little boost of protein and fiber. And it’s pretty easy to customize. Don’t care for bananas? Use another fruit. Don’t care for fruit? Use cauliflower or zucchini instead! Experiment (and keep experimenting) with various options until you have a few of your favorites on hand. Drinking green smoothies on a regular basis was one of the first steps I took on my health journey. Prior to this, I enjoyed egg and cheese croissants almost every morning along with my Starbucks chai latte. While it was great in the moment, I would always feel sluggish by 10:30. Then I’d find myself consuming caffeine to stay productive for the rest of the morning until lunchtime. Smoothies were a complete game-changer for me. Not as a meal replacement but just as a way to get more greens and veggies into my day. I didn’t care to chomp on 2 cups of spinach but I could easily consume them in a smoothie without even thinking about it. If you don’t have a high-speed blender, blend the greens and liquids first. This will lead to a smoothy, velvety smoothie after you add the remaining ingredients. Bananas had natural sweetness and fiber to smoothie. I prefer to slice them up and freeze them in advance. That way they are cold and I don’t have to worry about slicing them up in the morning. If you’re going to use dates, soak them beforehand, for about 30 minutes. You don’t need to do this, just helps them blender smoother, and this step isn’t needed at all if you have a high-speed blender. Here are some of the reasons I love enjoying smoothies. They are a great way to kickstart or restart a healthier lifestyle. You’ll never get bored as long as you keep experimenting with different ingredients! 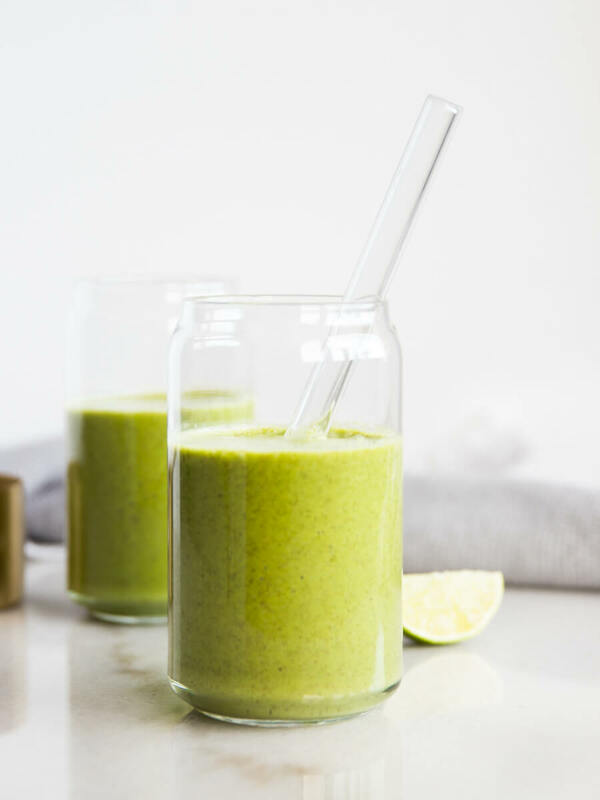 Tropical Ginger Matcha Smoothie – the addition of ginger is everything in this smoothie! 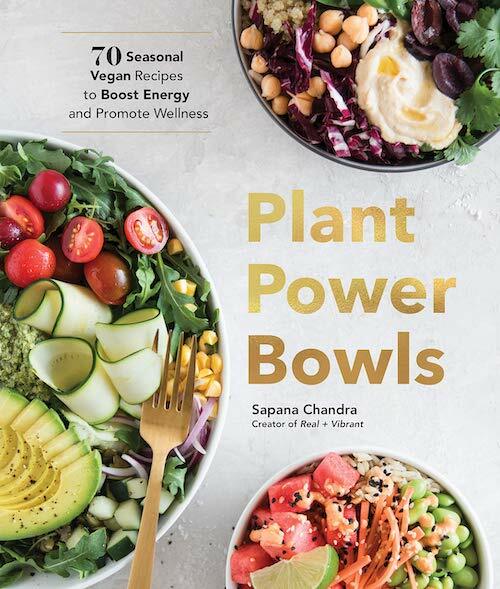 Pumpkin Chai Smoothie Bowl – you don’t have to wait for pumpkin season to make this! Combine all of the ingredients in a high-speed blender. This recipe was originally published on February 18, 2016. Since then, it’s been freshened up with new pictures, commentary, and made even more delicious! Hi Karla, I hope your treatment is going well. Wishing you healing and strength. I hope you loved it! It’s one of my favorite go-to smoothies. Yummy!! I’ll try tomorrow morning thank you for sharing. I will hashtags to let you know how goes going. I hope you loved it, Chilly!